Sarfraz admitted New Zealand, two points behind Australia in the world rankings having played three fewer matches, will be a tougher opponent. Ever since Sarfraz took over as captain Pakistan have won 26 of their 30 matches and the hammering of Australia was their tenth straight series win. Pakistan skipper Sarfraz Ahmed vowed that his all-conquering Twenty20 team will continue their hot streak in their three-match series against New Zealand, starting in Abu Dhabi on Wednesday. 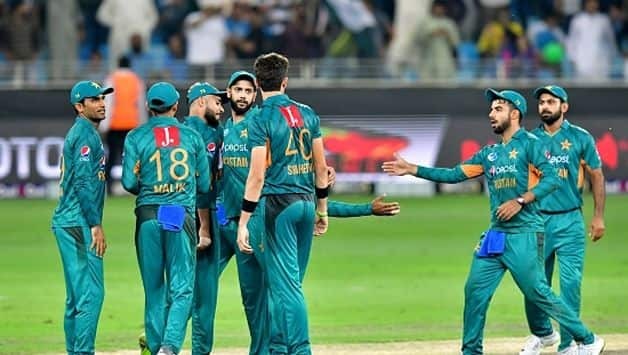 Pakistan maintained top spot in the 20-over world rankings with a 3-0 whitewash of Australia in Dubai on Sunday, cementing their place as the leading lights of the game’s shortest format. “We want to carry forward the winning momentum of the Australia series,” said Sarfraz, who announced Shoaib Malik will join the team in time for the match soon after becoming a father. Malik’s tennis star wife Sania Mirza gave birth to a baby boy in India early on Tuesday. However opener Fakhar Zaman is still sidelined with the knee problem that forced him to sit out Sunday’s game against Australia in Dubai. “They (New Zealand) have a strong team with ideal batsmen for Twenty20 and a balanced bowling attack so we need to set the tone from the first game by winning it,” said Sarfraz, whose team has won 10 of their 18 previous Twenty20 internationals against New Zealand. 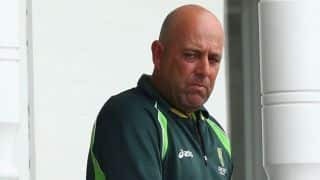 Pakistan’s varied bowling attack defended totals of 155, 147 and 150 against Australia but New Zealand’s top order of Colin Munro, skipper Kane Williamson and Ross Taylor are expected to be a sterner test than Australia’s mis-firing batsmen. Munro is one of only two batsmen to hit three Twenty20 hundreds alongside India’s Rohit Sharma. New Zealand also have hard hitting all-rounders in Corey Anderson and Colin de Grandhomme, with pace attack spearheaded by Tim Southee, Lockie Ferguson and Adam Milne. Williamson said his team needed to be at their best to beat the top team. Williamson admitted opener Martin Guptill, out of the tour with a calf strain, will be missed. “It’s a shame we don’t have Martin for this series,” said Williamson of Guptill, who is the highest run scorer in the format with 2271 in 75 matches. The remaining two matches will be played in Dubai on Friday and Sunday. The two teams will also play three Tests and one-day internationals.